The Town of Framingham operates three public beaches. They are Learneds Pond, Saxonville Beach, and Lake Waushakum. The beaches will open on June 22 and close for the season on August 17. 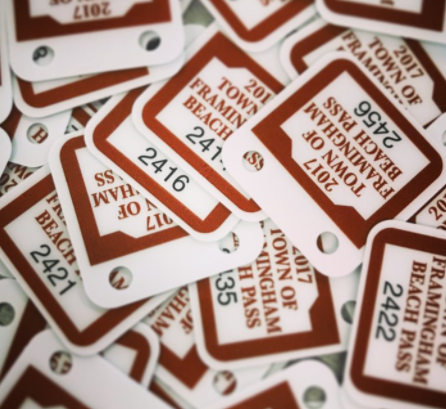 Beach tags go on sale ONLINE on June 12 and will be mailed to the address provided, according to Framingham Parks & Recreation. Tags can also be purchased at the Framingham Parks & Recreation office, Monday through Friday from 9 a.m. to 4 p.m.
One-day passes will be sold at each beach gate at $3 per resident and $6 per non resident. The Town of Framingham has lifeguards at each of the three beaches. FEE – $38 per resident swimmer / per session – – fee includes a beach tag for the PARTICIPANT ONLY – anyone accompanying the swimmer must have their own beach tag or pay the day use fee.